Janina Falkowska is Professor in the Film Studies Department at the University of Western Ontario in London, Ontario, Canada, specializing in East-Central European and Western European cinemas. Her publications include Andrzej Wajda: History, Politics And Nostalgia in Polish Cinema (Berghahn Books 2007), National Cinemas in Postwar East-Central Europe (ed. ), and, co-authored with Marek Haltof, The New Polish Cinema (Flicks Books 2003). 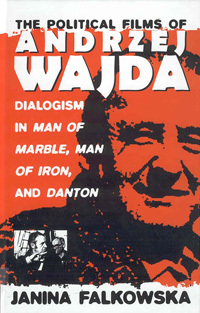 Appendix: Film Synopses of Man of Marble, Man of Iron and Danton.